The Internal Revenue Service reportedly is auditing fewer wealthy people, while stepping up scrutiny of low-income taxpayers. According to an analysis by ProPublica and The Atlantic, the agency is reluctant to investigate rich individuals and large corporations because of the expenses involved. “It takes specialized, well-trained personnel to audit a business or a billionaire or to unravel a tax scheme — and those employees are leaving in droves and taking their expertise with them,” the news outlets explained. The IRS is not nearly as concerned about the cost of going after poor people who claim the earned income tax credit. More than a third of all audits in 2017 targeted those filers, whose annual incomes averaged less than $20,000. The disproportionate enforcement is one of the ways the IRS has coped with billions of dollars in funding reductions over the past eight years. The agency audited 675,000 fewer people in 2017 than in 2010, a 42 percent decline. As a result, the government is losing an estimated $18 billion or more annually in revenue it should be getting from the rich. The number of auditors on the IRS payroll has plunged about 33 percent in the past eight years. The staff is smaller than at any time since 1953. The situation is almost certain to get worse. Nearly a third of the current auditors will reach retirement age in 2019, and the agency will probably not replace all these positions. Morale within the department is eroding, as the dwindling number of auditors face increasing pressure to conclude investigations as fast as possible. The vast majority of Americans who fail to fill out tax returns do not have to worry about an IRS inquiry. The agency audited only 362,000 nonfilers in 2017, down from 2.4 million in 2011. 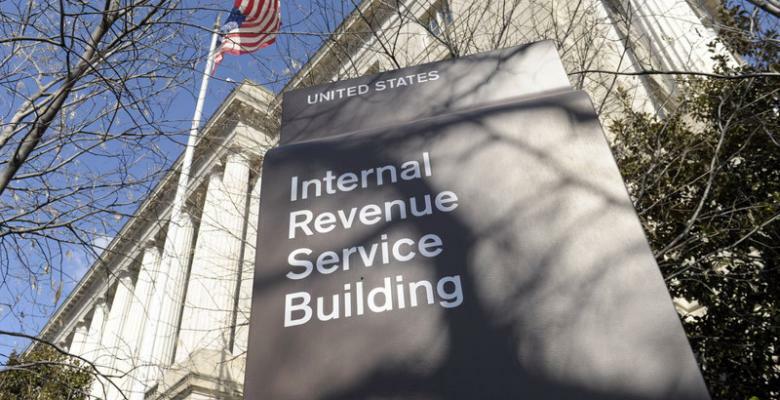 The IRS inspector general said the cost to the government's coffers is more than $3 billion a year. The IRS lost $600 million in federal appropriations in 2013, when conservatives falsely accused officials of pursuing right-wing nonprofit organizations. As it turned out, liberal groups were more likely to face audits. The fact-checking revelation did not prevent Republicans from leading the charge for more IRS budget reductions in the ensuing years. President Trump has not only supported further funding cuts; he has pushed for lower taxes on wealthy people like himself – despite promises during his 2016 campaign to do the opposite. Legislation providing $1.5 trillion in tax breaks, approved by the Republican-led Congress and signed by Trump, was a boon to the wealthy. Prosperity Now and the Institution on Taxation and Economic Policy issued a scathing report that showed rich people were the measure's primary beneficiaries. The analysis indicated that 72 percent of the cuts went to the top 20 percent of earners. Large corporations had to pay a third less money to Uncle Sam after the tax bill went into effect, according to The Wall Street Journal. The Commerce Department reported that corporate profits reached record levels. At the same time, the Urban Institute noted that more than 40 percent of Americans could not afford their basic needs. The Washington Post pointed out that another regressive tax plan the Trump administration favors is to redefine capital gains, a key way the government tries to force the wealthy to pay their fair share. The proposed scheme is to adjust for inflation the profits that result from buying and selling assets. A study by the nonpartisan Penn Wharton Budget Model found that such a change would save earners in the top 1 percent more than $100 billion within 10 years, while helping only one in 20 of those in the bottom 95 percent. Reducing rich people's taxes and cutting the IRS budget have exacerbated the government budget deficit. Some lawmakers have suggested that the solution is to take money away from Social Security, Medicare and Medicaid. Prosperity Now warned that the rising deficit also poses a threat to health care, income support, job training, education and other elements of the social safety net. It all adds up to a widening gap between the rich and the poor in the United States, which already has one of the most extreme income disparities in the world.